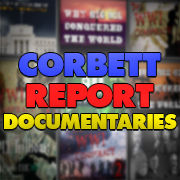 Description:The Corbett Report has some news for you: Al Qaeda isn’t real. It’s a “noble” lie by the Neocons to con you into accepting your own enslavement. Welcome to the matrix. Enjoy your stay. Description: Alex Jones interviewed Aaron Russo in January 2007. Description: The home page of Aaron Russo’s political organization. Description: Which Osama bin Laden planned the 9/11 attacks? The thin, long-nosed one or this, the fat, wide-nosed one? Description: The US gov re-edited old footage and then passed it off as a new Al-Qaeda tape. Description: A computer expert unveils that IntelCenter and al Qaeda watermarks were added to al-Qaeda videos at the same time. Description: It’s actually the name of the CIA database of the Afghan mujahadeen they armed and trained. Description: The official Freedom to Fascism website. Description: Bush has recently declared himself dictator in the event of a national emergency. 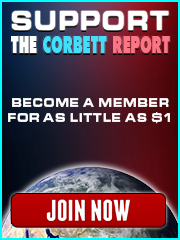 Description: The Corbett Report article on the SPP. Description: Information on the global day of action to mark the 6th anniversary of 9/11. Description: Includes links to sources regarding the Afghanistan pipeline and the UNOCAL consultant who was installed as President. Description: Interview by Michael Enright of CBC Sunday Edition regarding the Neocon philosophical guru.